Chartreuse summer flowers. Green berries turn deep purple in late summer. 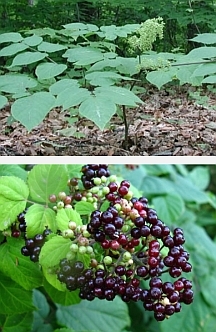 Large, low maintenance and long-lived plant for shaded areas. Attractive berries are non-toxic but inedible.